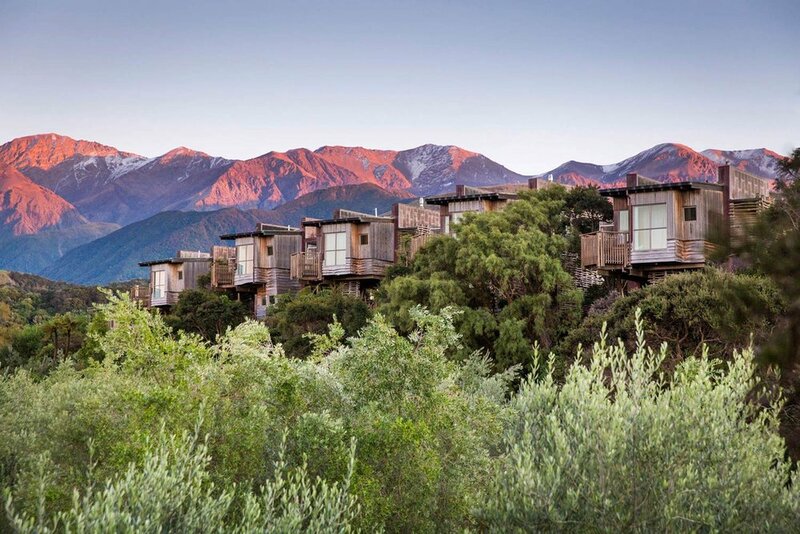 Hapuku Lodge + Tree Houses is a contemporary country hotel located on a deer breeding farm in the South Island of New Zealand, 12 kilometres North of the renowned eco-marine town of Kaikoura. It sits snugly at the base of the Kaikoura Seaward Mountain Range, with the Kaikoura coast and famed Mangamaunu Bay only a kilometre to the east. 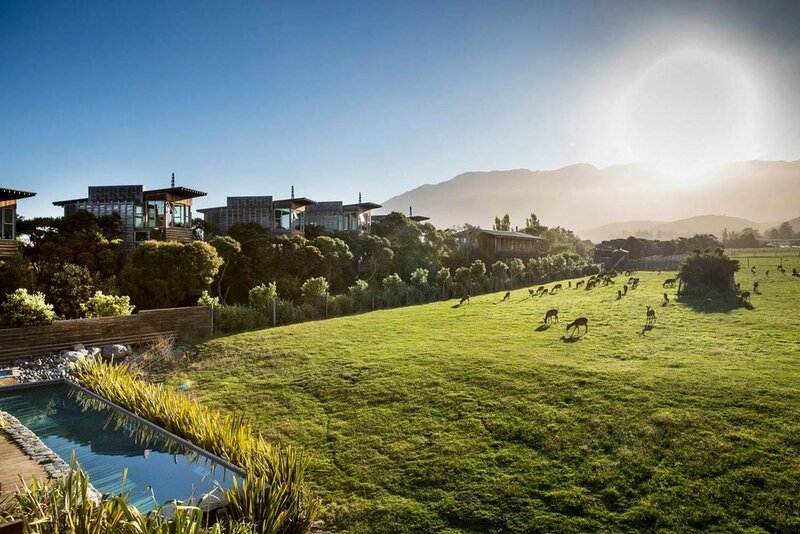 The Lodge provides luxurious accommodation on Kaikoura’s rugged coastline, a place for guests to relax in its intimate indoor/outdoor setting and a place from which they can explore the larger maritime landscape of Kaikoura.